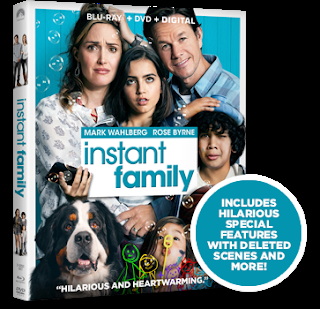 One lucky winner will receive an INSTANT FAMILY activity kit, which includes items based upon moments from the film, including “Grandma’s make-up kit” (washable markers and a make-up bag), a t-shirt with fabric markers and fabric paint, a custom bag, balloons, a hairbrush and the Blu-ray/DVD Combo Pack of INSTANT FAMILY! Enter through the Rafflecopter form below. This giveaway is open to U.S. residents only and ends at 11:59 PM ET on Sunday, March 31, 2019.